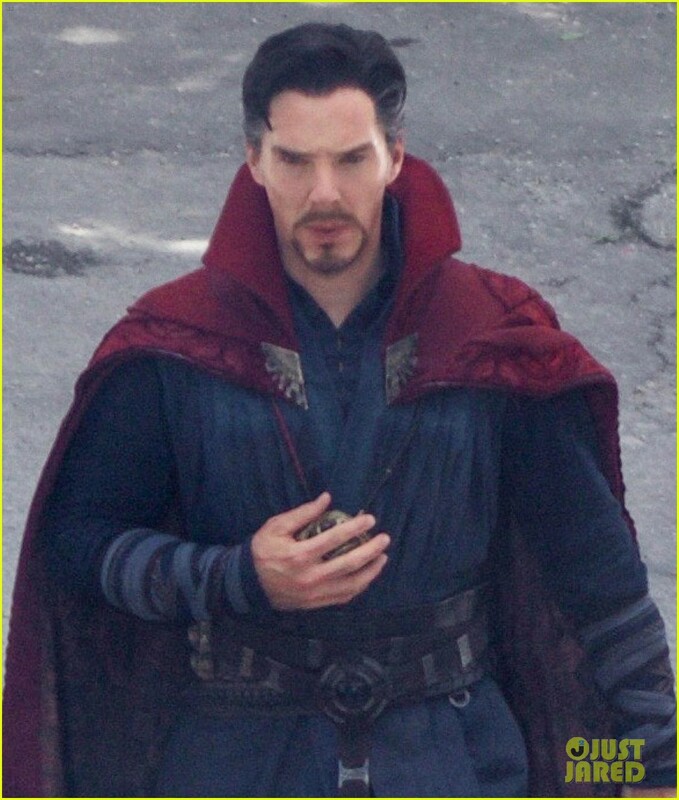 Avengers: Infinity War is by far the biggest movie in the Marvel Cinematic Universe to date, as just about every MCU hero is turning up for the party. 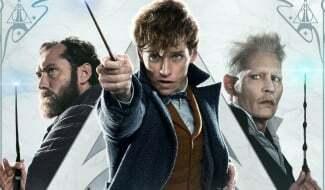 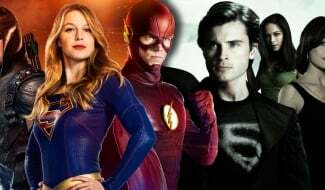 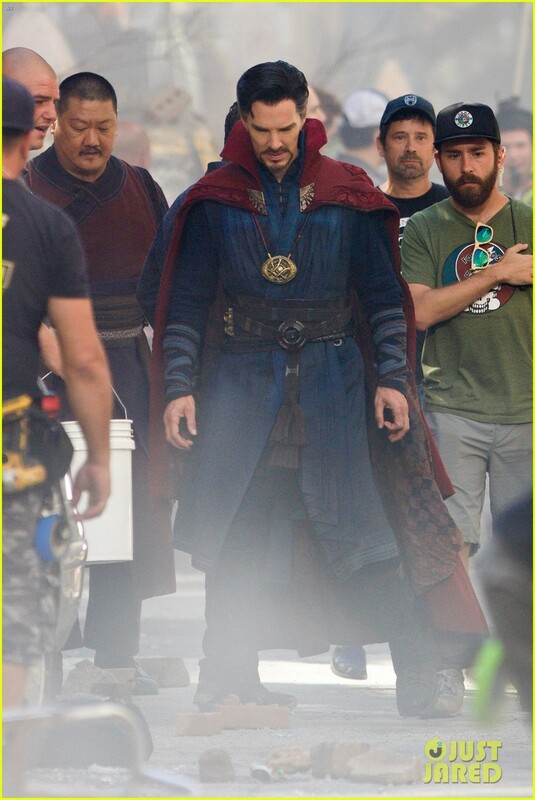 With set photos from filming on the streets of Atlanta now appearing online, we’re starting to get our first taste of seeing these all these characters together, though unfortunately, nothing too significant has been revealed just yet. 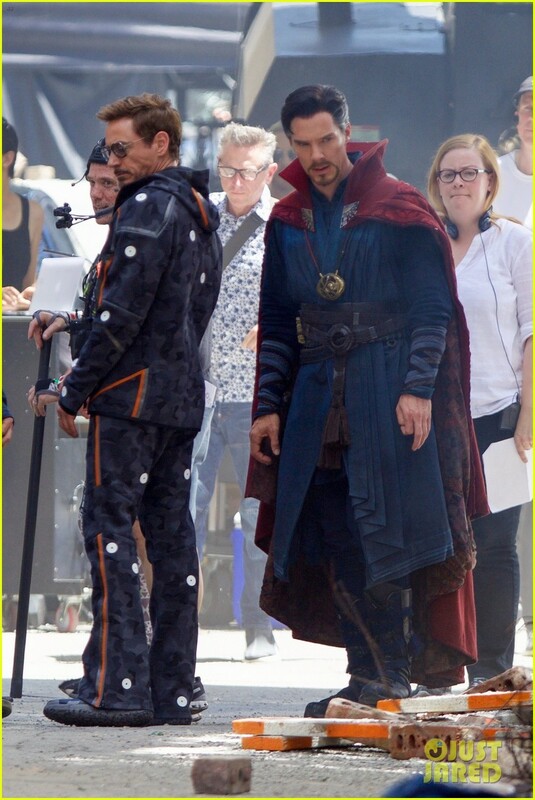 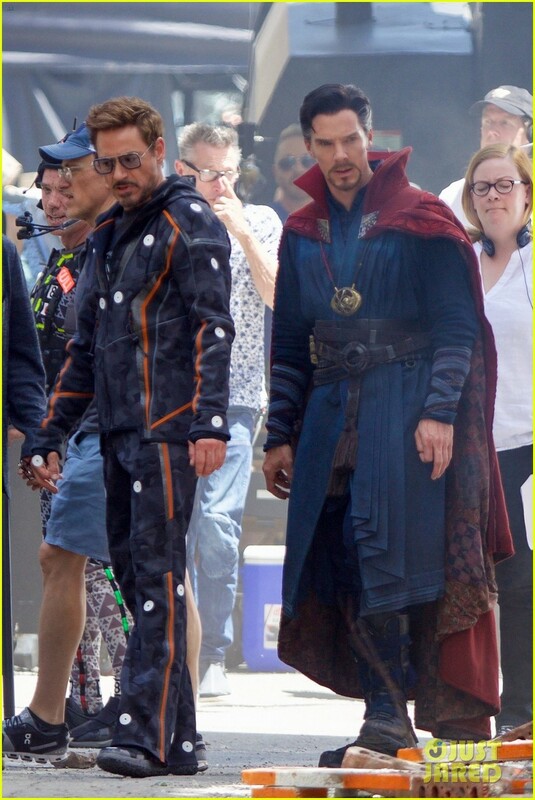 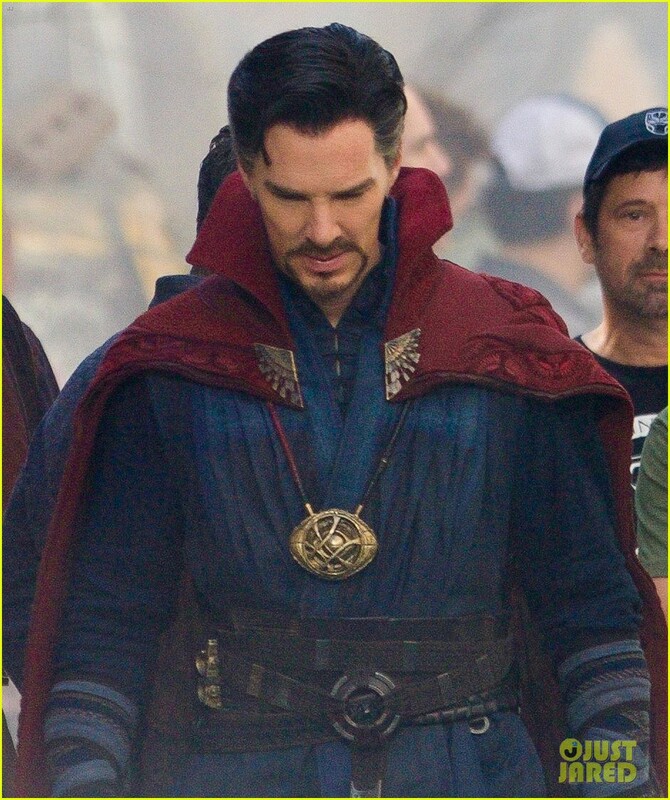 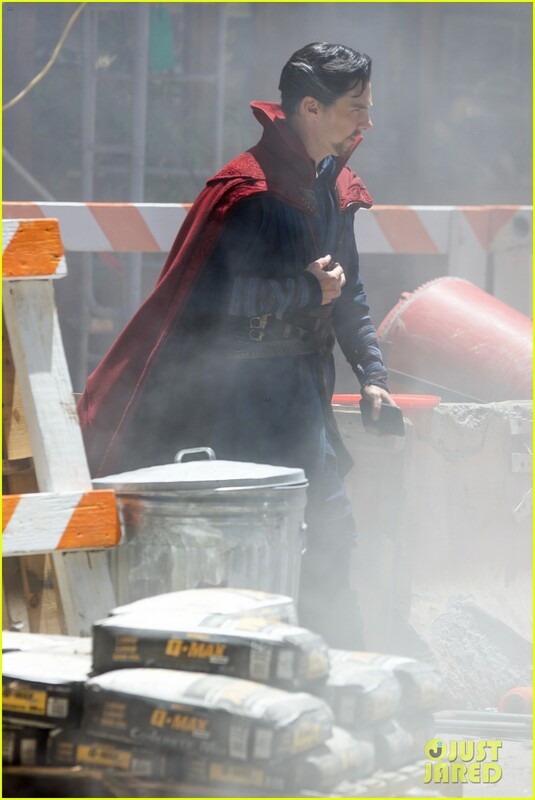 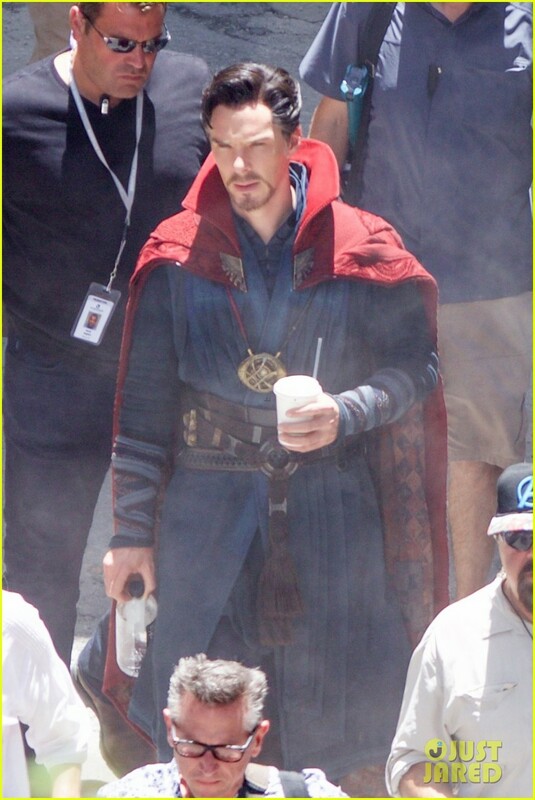 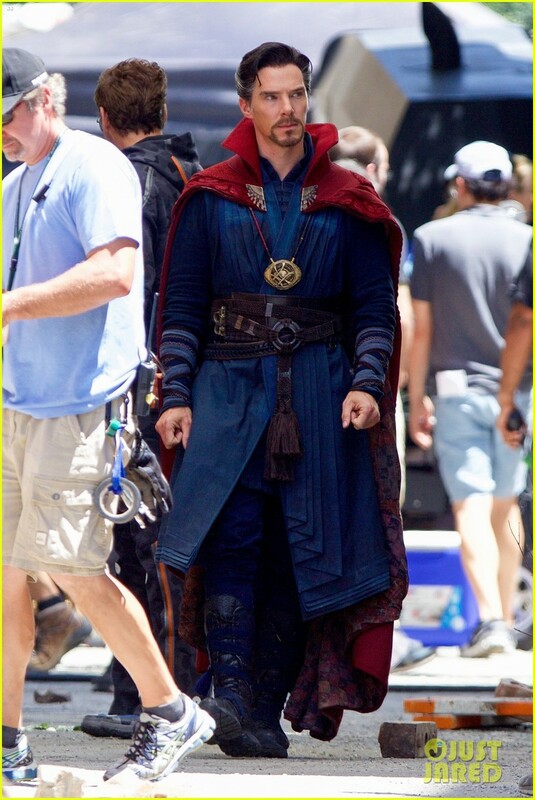 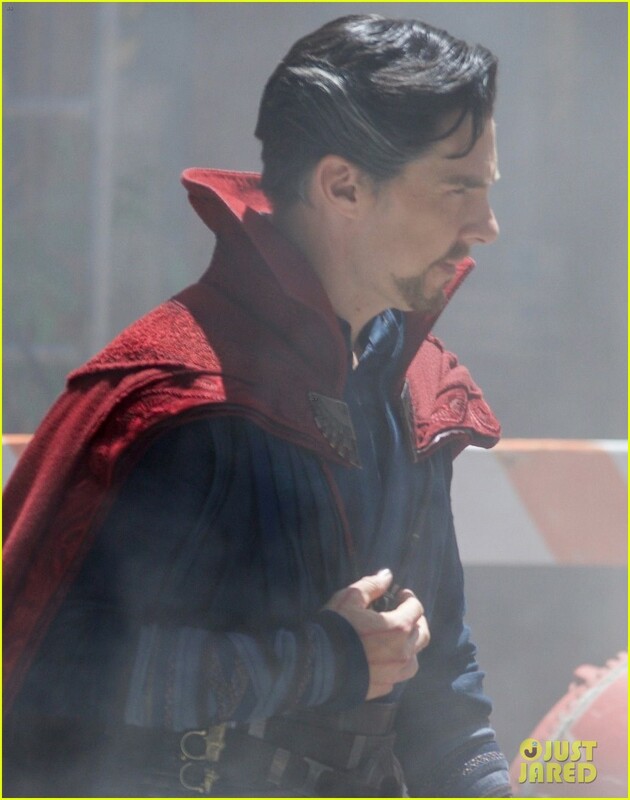 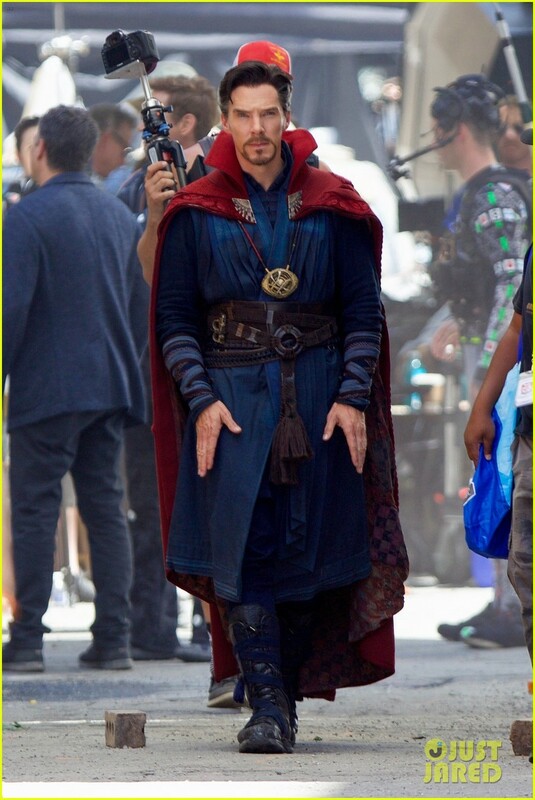 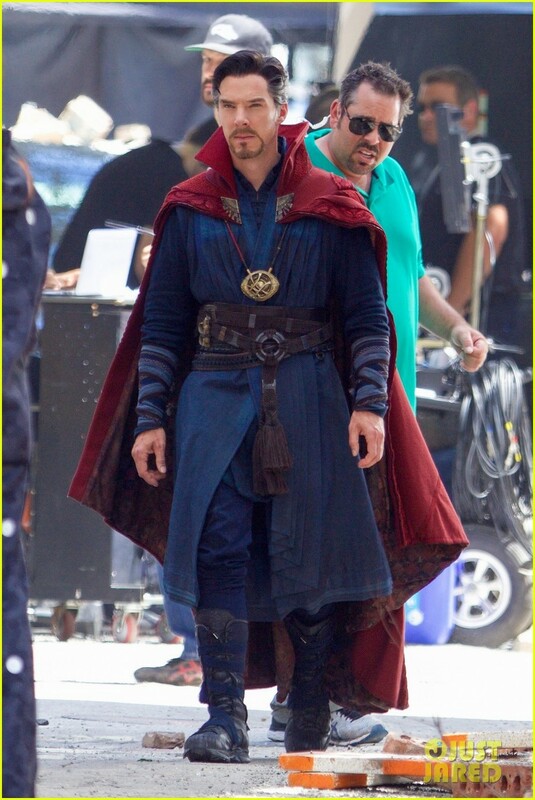 As you can see in the gallery below, the latest batch of pics show Robert Downey Jr., Benedict Cumberbatch, Mark Ruffalo and Benedict Wong in character as Iron Man, Doctor Strange, Bruce Banner and Wong, respectively. 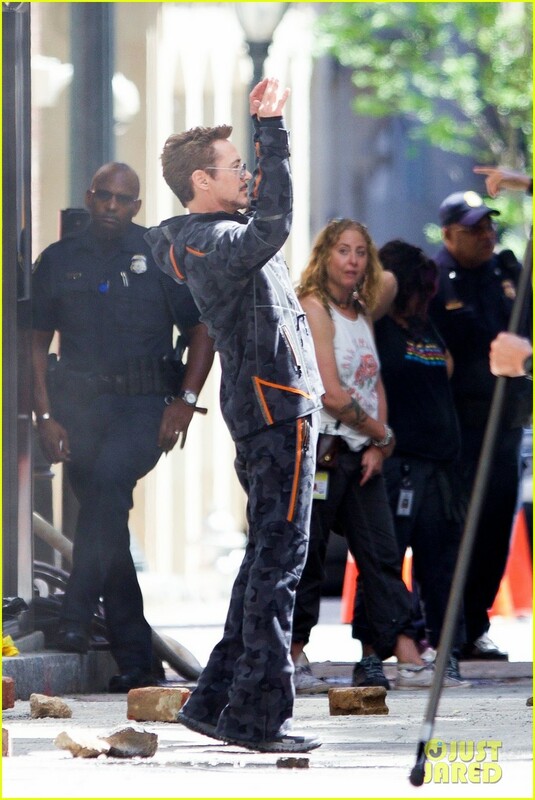 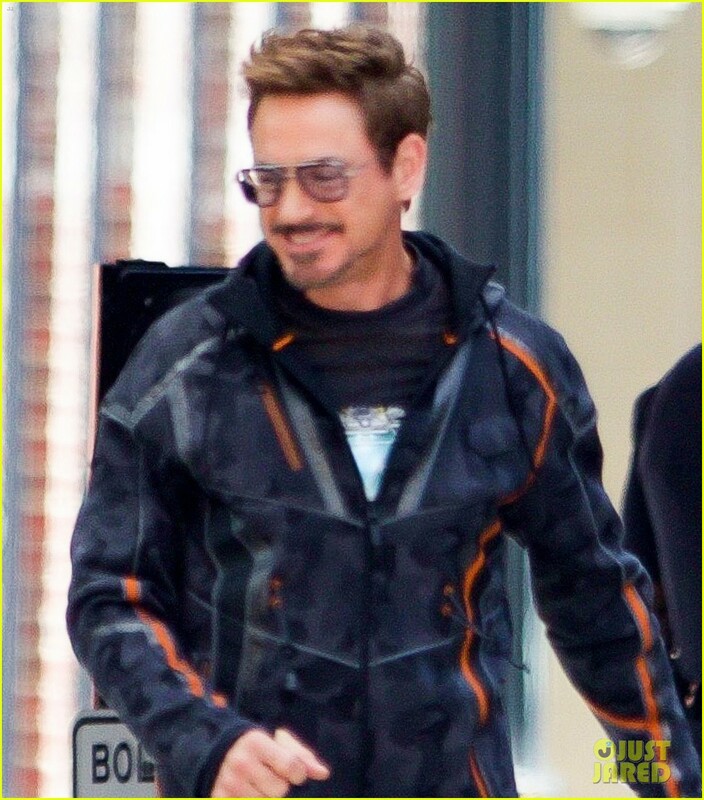 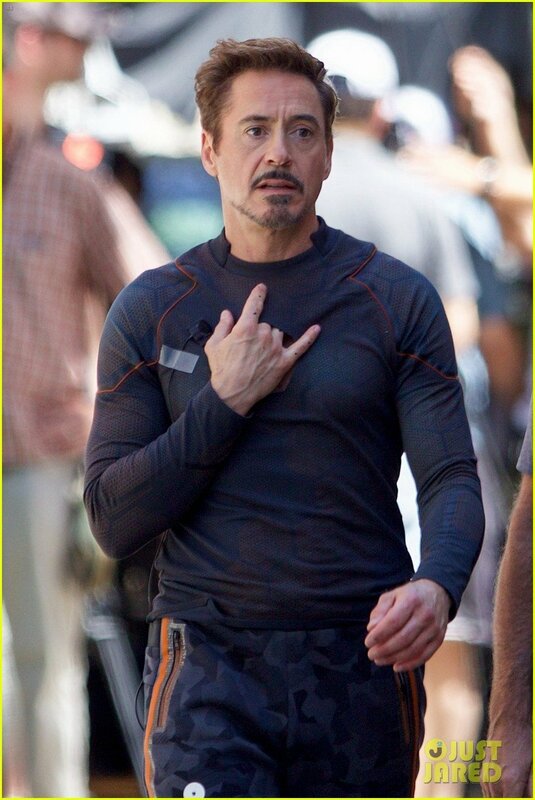 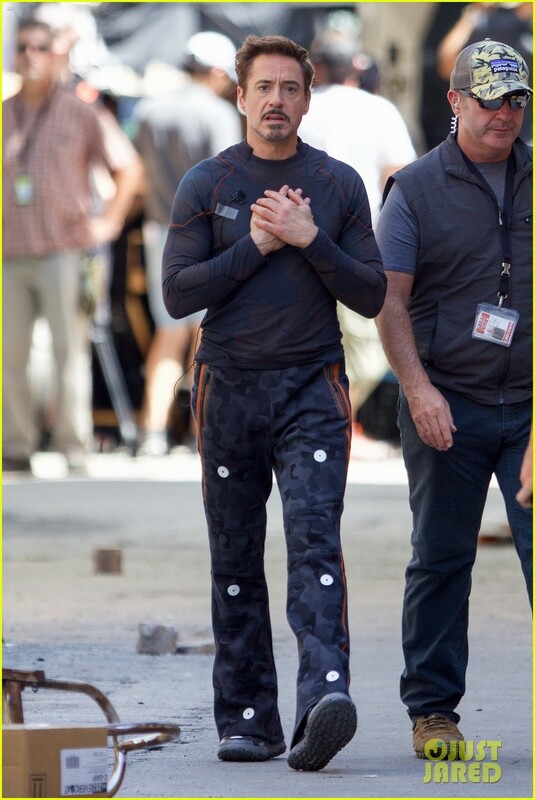 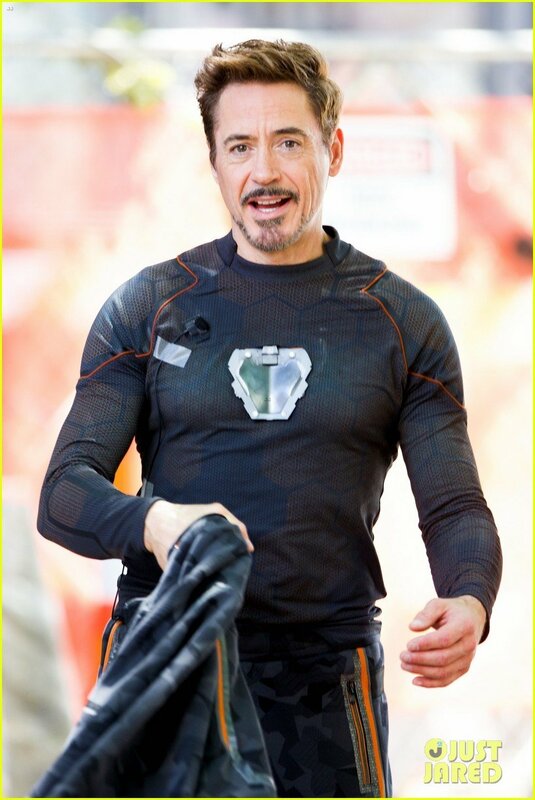 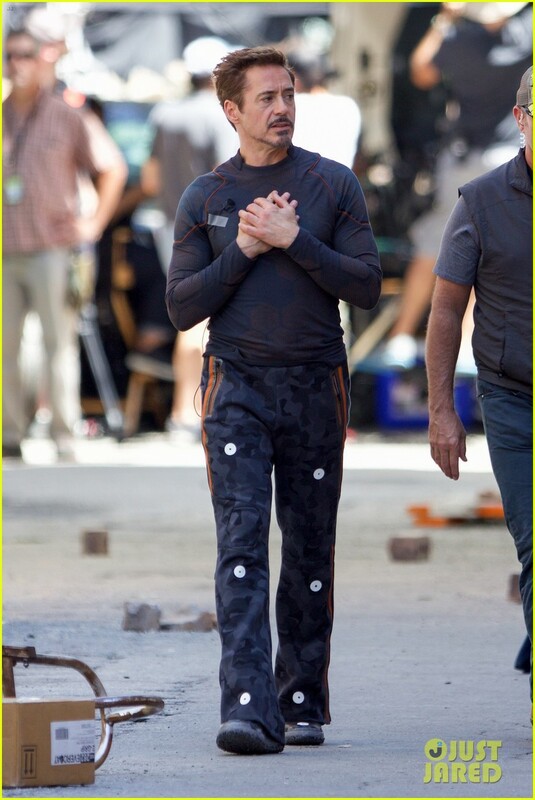 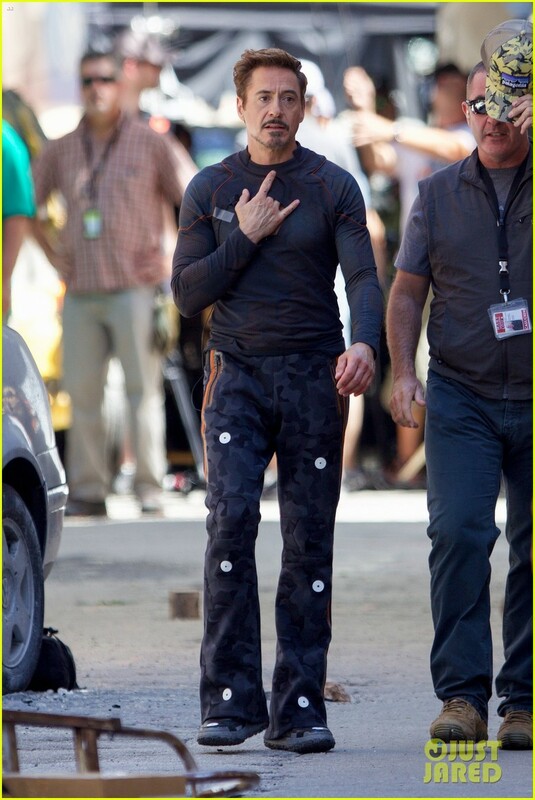 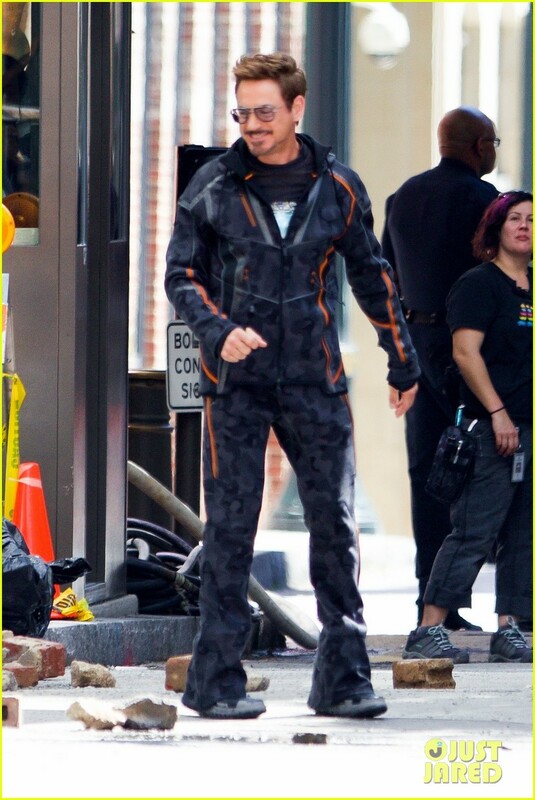 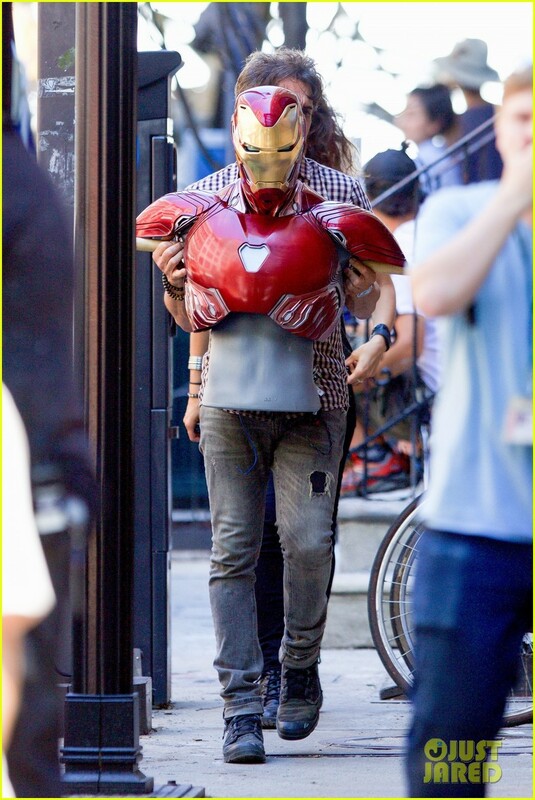 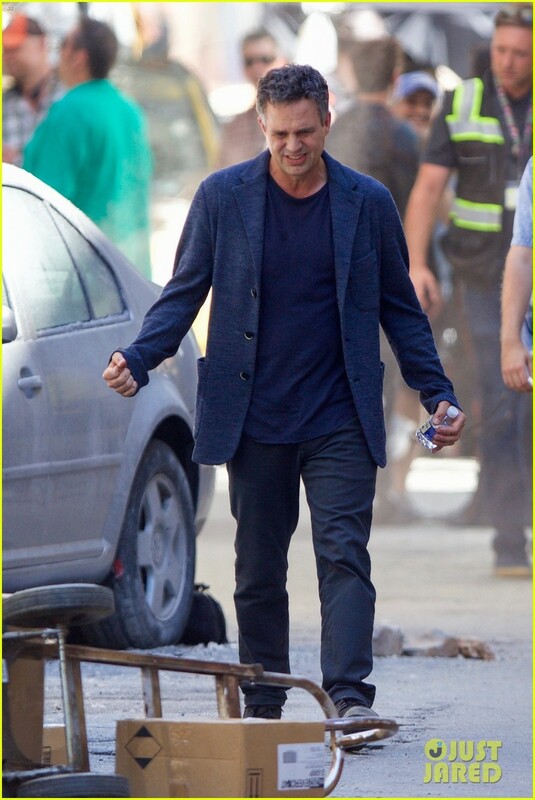 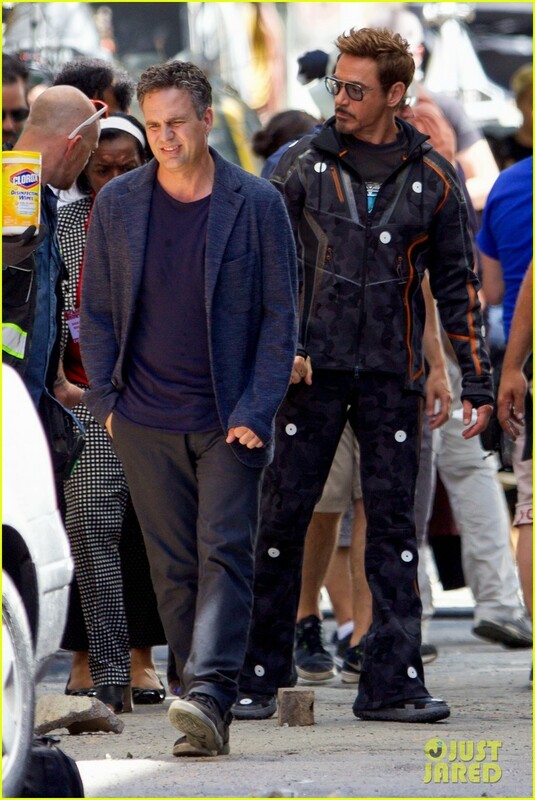 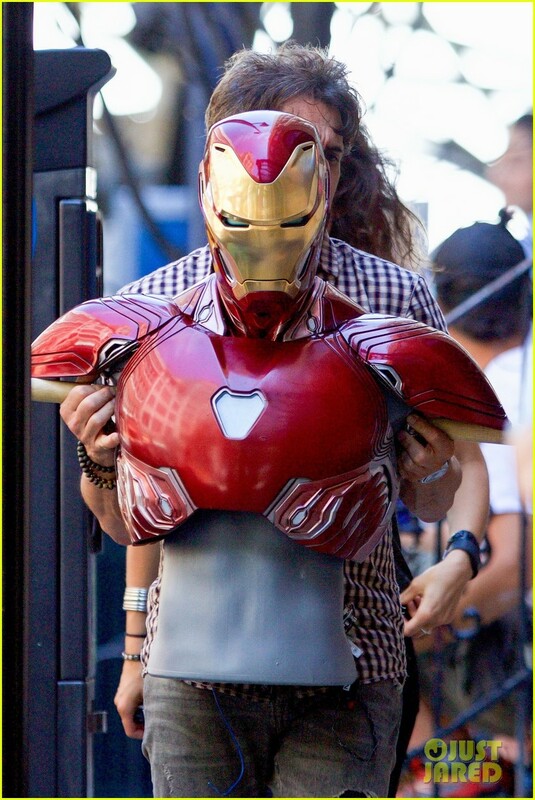 As in the set photos released yesterday, Downey’s wearing a motion capture suit, suggesting that Tony will be in costume up during this particular scene in the movie. 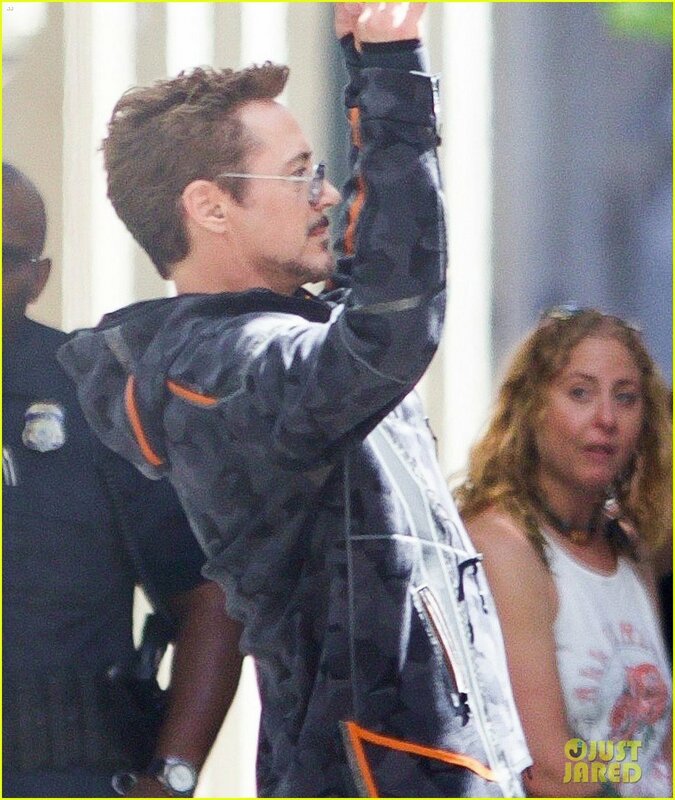 There’s also a member of the crew holding up a bust of the Iron Man armor, presumably as a reference point for post-production. 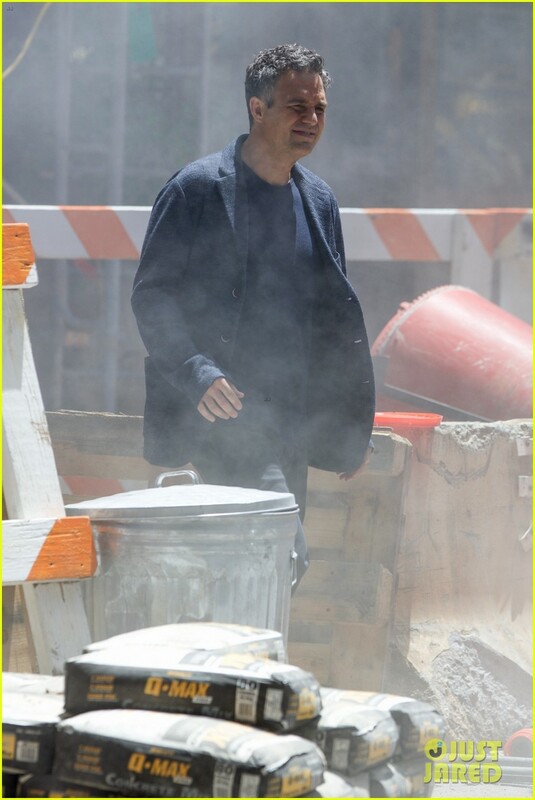 Judging by the rubble around them, it’s likely that the foursome are filming a scene of the Avengers – plus Strange’s pal Wong – in battle. 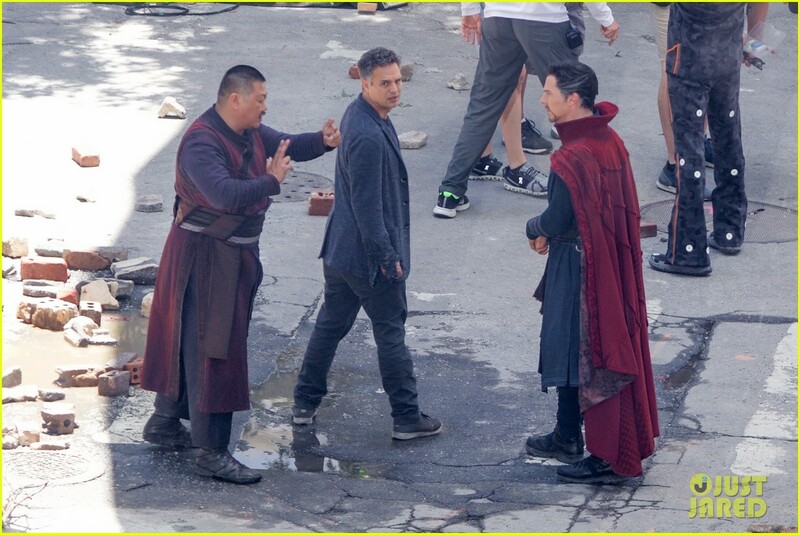 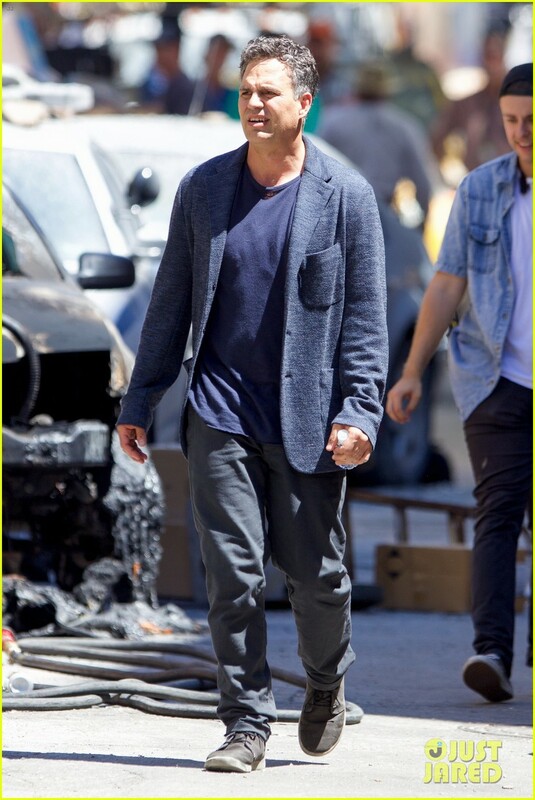 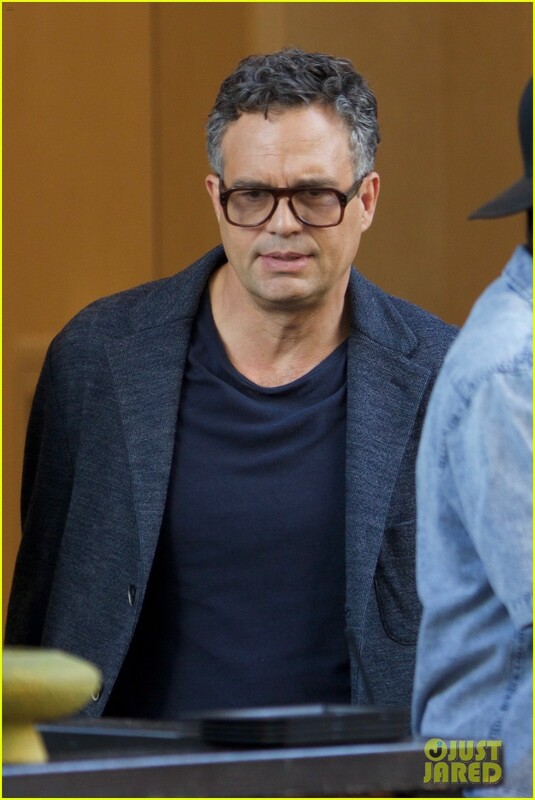 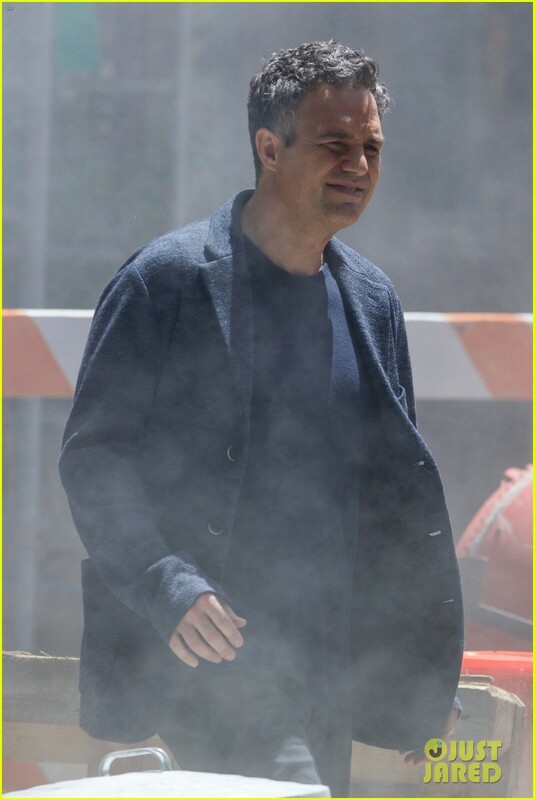 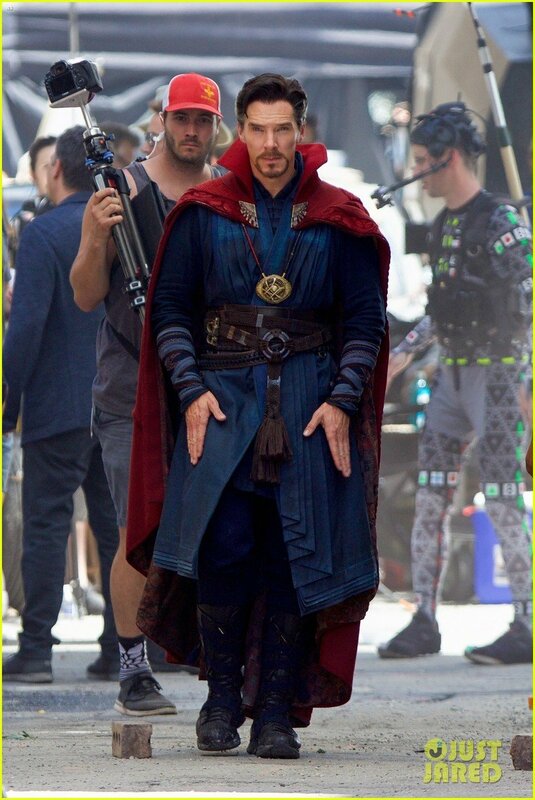 After all, Cumberbatch and Wong are in full Sorcerer gear and one shot sees Ruffalo looking like he’s trying to summon his inner green rage monster. 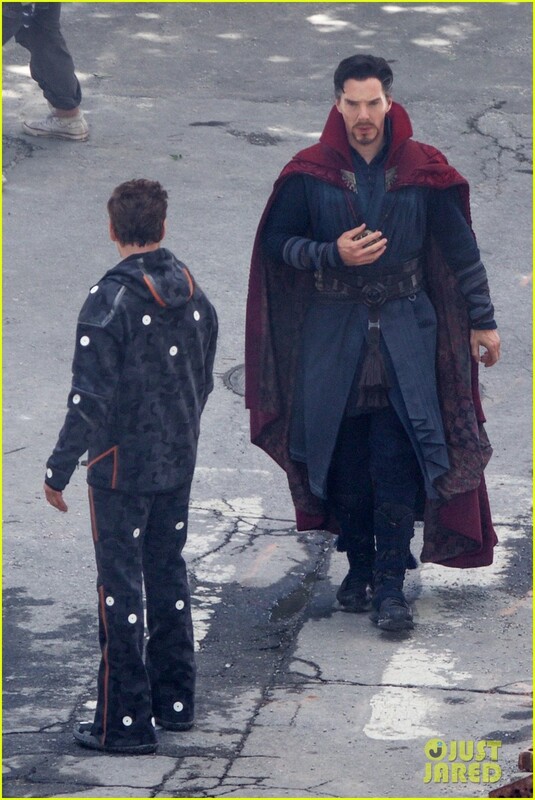 Aside from that, there isn’t too much we can gather about the plot of Infinity War from these shots, but it does suggest that the film will split up the heroes into smaller teams. 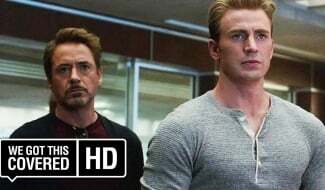 For instance, while Stark, Strange and Banner are holding up this corner of the battle, the likes of Captain America, the Guardians, Spider-Man and everyone else will be fighting the good fight on another front. 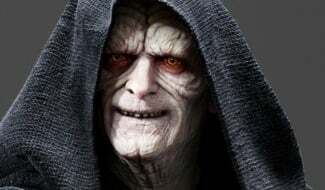 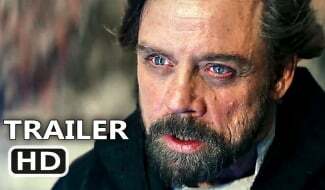 That remains unconfirmed, of course, but it certainly appears to be the case. 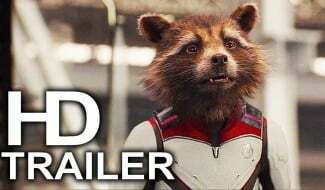 Avengers: Infinity War arrives on May 4th, 2018. 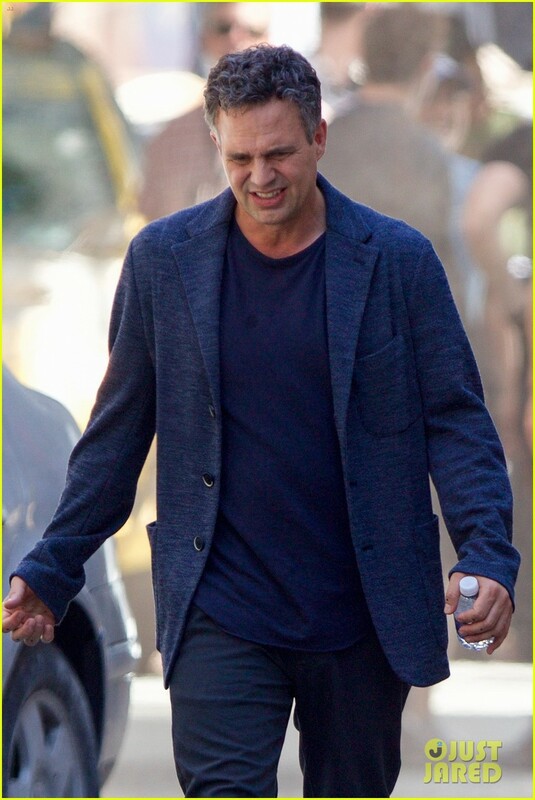 The currently untitled Avengers 4 will then appear almost a year later on May 3rd, 2019.